For River EOPM is provided for you and if you think it can be optimized such as adding the dynamics etc, welcome to provide us with the more perfect For River EOP and EOPM! For River is an original soundtrack of To the Moon. 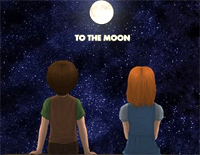 To the Moon is the fourth video game by Canadian designer/composer Kan "Reives" Gao and the first commercial production by hisindie game development team Freebird Games.